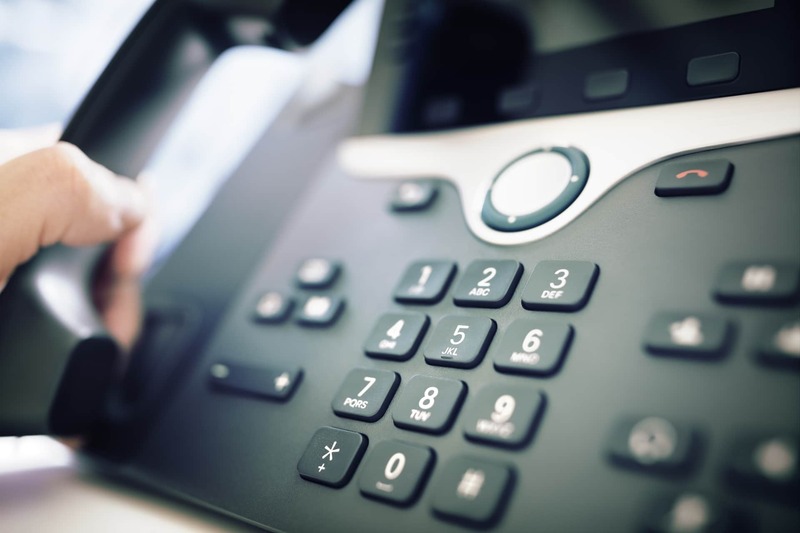 There are a number of ways VoIP, or voice over IP, can benefit a business – from cost saving, efficiency and flexibility it makes sense to use VoIP over traditional landlines. First and foremost is the dramatic cost saving – because you are calling through a computer network, or internet connection you don’t actually need to pay for using traditional land lines. Line rental is vastly reduced, or in some cases it can be zero. Usually all call charges are also dramatically reduced by around 75% compared to using traditional landlines. VoIP enables staff to work from any location, making your business much more efficient. If staff can’t get into the office because of bad weather, or traffic issues, they can just seamlessly work from home instead. All you need for VoIP to work is a VoIP phone and an internet connection. Some VoIP phones are software phones which means they can run on your laptop or tablet as an app, rather than a physical device, enabling you to have an extension on your phone system which operates the same way as an extension in the office! Another way a business can benefit is through flexibility – no longer are you tied to a geographical location so your number can always go with you, no matter where you are. If you’ve ever moved premises, you may have experienced difficulty moving your telephone number in the past. For example, if you had a business in Birmingham with an 0121 number but wanted to move to Manchester that has an 0161 code, in the past you couldn’t keep that old 0121 number, but with VoIP that number can always go with you no matter where in the country you’re physically located and it means you don’t have to worry about making sure all your customers know about a new number! Having VoIP in your business usually means you have access to a whole range of advanced features. Features such as voicemail, voicemail to email forwarding, call logging, queues and call recording can usually be accessed for very little capital outlay, making it ideal for small businesses who want to convey a big business professional image to their clients. Finally, if you don’t have the budget for a large capital expenditure on a new phone system, then VoIP has the answer! By using a hosted VoIP system you can eliminate all your upfront costs and just pay for a monthly subscription based on the number of extensions you use. Not only does this help with cashflow, it also means you don’t have to worry about depreciation either!